NGC 1365 is one of the most prominent "barred" galaxies in the sky. 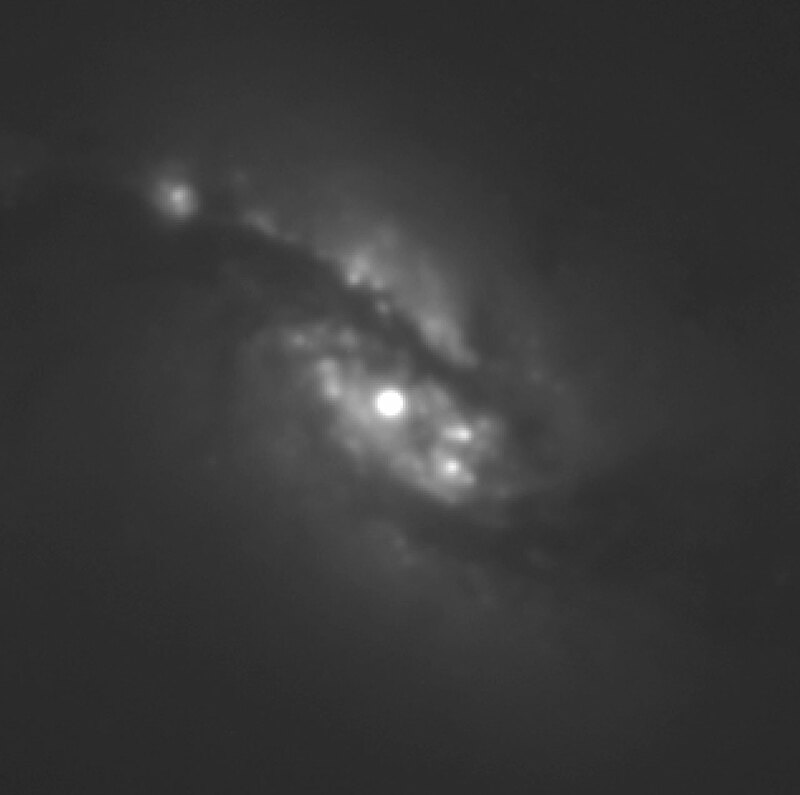 It is a supergiant galaxy with a diameter of about 200,000 lightyears, seen in the direction of the southern constellation Fornax (The Furnace). 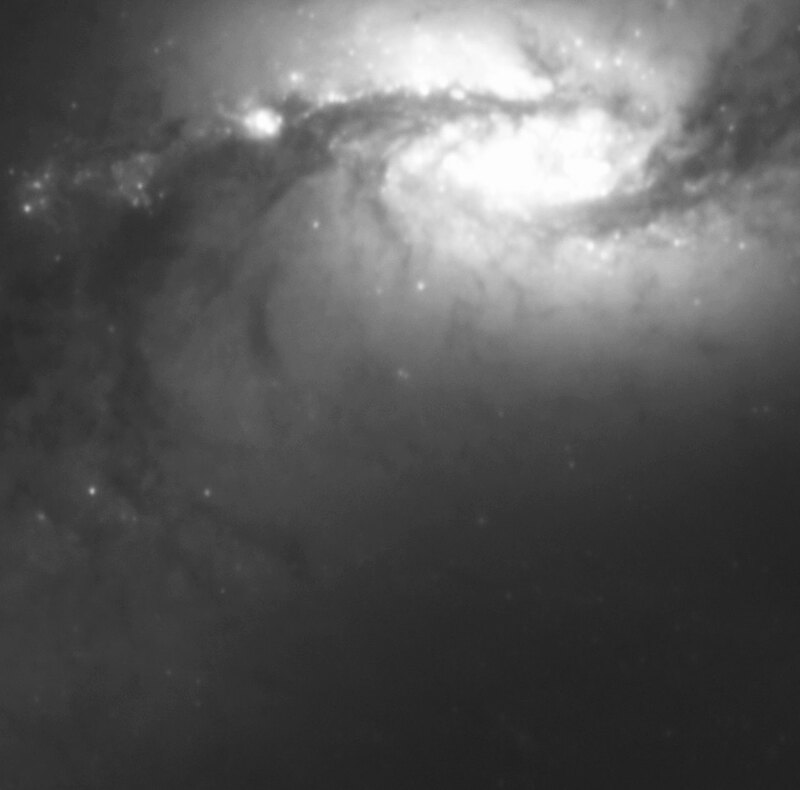 It is a major member of the Fornax Cluster of Galaxies . The distance is about 60 million light-years and the recession velocity has been measured as 1632 km/sec. 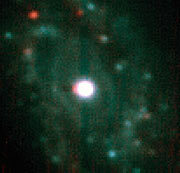 A massive straight bar runs through this galaxy and contains the nucleus at the centre. It consists mostly of older stars that give a reddish colour to the bar. The gravitational perturbation from the bar causes interstellar gas and dust clouds to form a pair of spiral arms that extend from the ends of the bar. Young luminous hot stars, born out of the interstellar clouds, give these arms a prominent appearance and a blue colour. The bar and spiral pattern rotates clockwise, as seen from us. One full turn takes about 350 million years. 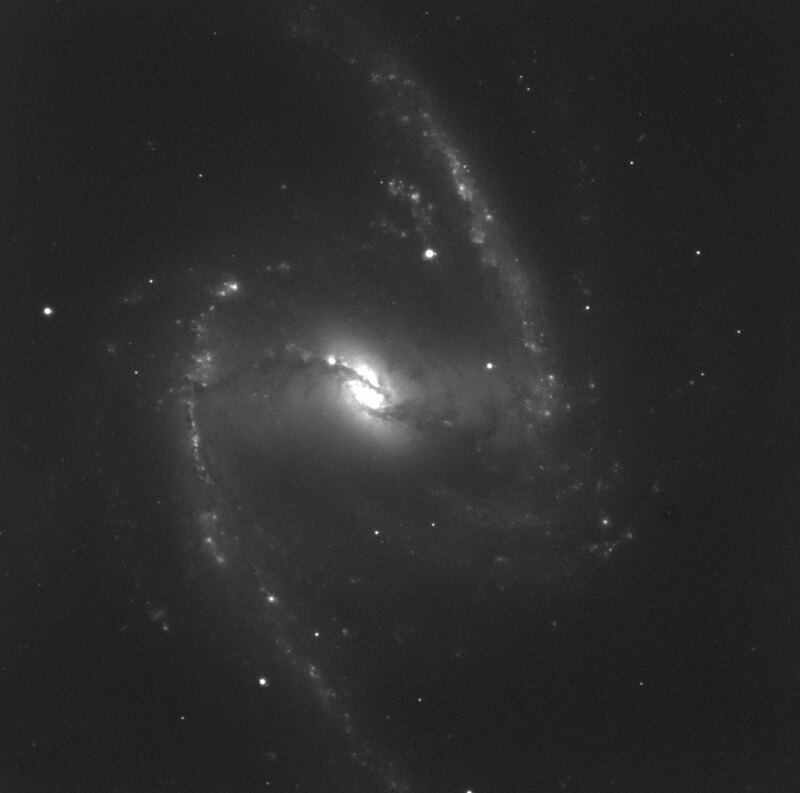 Various images of NGC 1365 have recently been obtained with the three instruments, FORS1, the Test Camera (TC), and ISAAC, now installed at the VLT UT1. They show the intricate structure of this magnificent galaxy, also in the innermost region, close to the centre. Some of these images are included here. 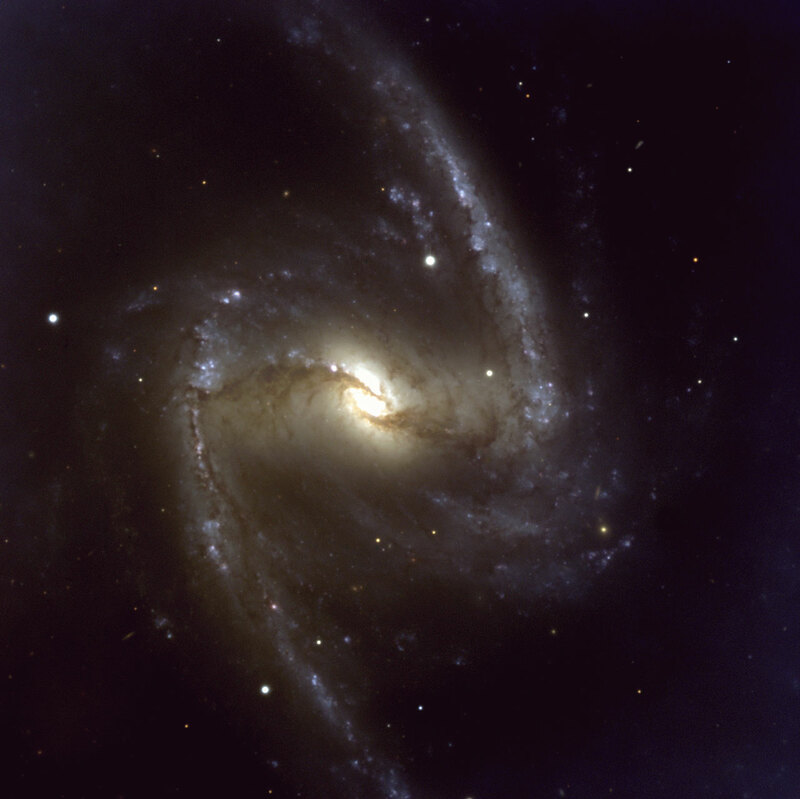 The VLT will be able to observe a substantial number of large and bright galaxies like NGC 1365 in similar detail. In addition to imaging observations, it will also be possible to obtain detailed spectra of many of the brighter, individual stars as well as of the nebulae. It will be of particular interest to compare the properties of such objects with those of similar ones in our own galaxy, the Milky Way.